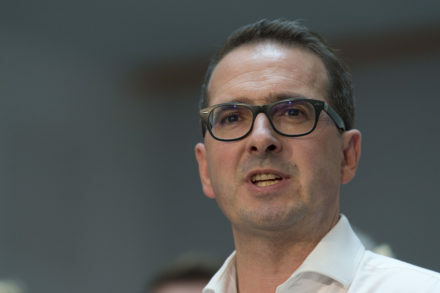 Owen Smith today strongly criticised the New Labour project which was ultimately “mistaken for the establishment” rather than standing up to it, saying he would oversee a series of measures to increase democracy in the party and avoid a repetition of the failures of the Iraq War. The leadership challenger promised a “revolution in the leadership of Labour” to increase members’ say in the creation of policy. He outlined bold plans to create a members’ cabinet to advise MPs and the NEC on policy and political strategy, adding that Labour party conference must be “sovereign once again” and should sign off general election manifestos. Smith, who worked as an advisor to Northern Ireland secretary Paul Murphy in 2002, went on to say the party should not lose touch with the principles which led them to seek power in the first place and would win power by doing what was right, not only what works. “Labour mustn’t lose touch with the reasons that we seek parliamentary representation for, we mustn’t loose touch with the values that we seek to put into practice in government. “Had we listened to the members we might have got it right on Iraq. Had we listened to the members we might have got it right on social housing, or PFI, or inequality,” Smith said at a speech at Ely Valley Miners Welfare Club. The Pontypridd MP drew on his experience marching in support of the miners’ strike to argue the Labour Party should combine a social movement with parliamentary success. He said in order to put their principles into action Labour must “win power for the people” and get the Tories out of government. “It was a true social movement that we saw then. And it contained moments of joy and hope alongside despair. But by many – especially in hindsight – it was seen as a moment of light in a period of great darkness. But nostalgia cannot blind us to the truth. It failed. “We were beaten in the end, the miners were beaten, by the Thatcher Government that started the fight in the first place, and we were beaten by divisions in our Labour movement. “As a teenager I marched back with the miners to Maerdy Colliery at the end of the strike when they went back to work. I saw them. They were utterly unbowed, but they were ultimately of course defeated. “We’ve always been a social movement and a political parliamentary movement, and the two can, and must, go hand in hand. The experience of the Labour Party in my lifetime tells me that with absolute clarity. If we lose that unity then we fundamentally lose touch between those two parts of our movement; the movement in Parliament, and the movement in the country at large.